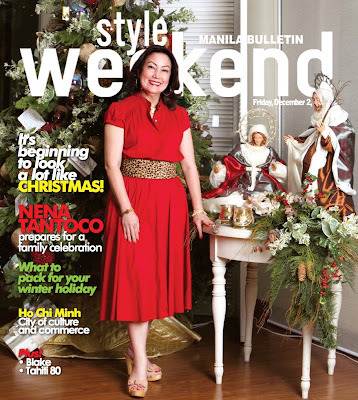 pls buy manila bulletin today (dec 2) for your free copy of style weekend! on the cover: our first december issue is beginning to look a lot like christmas! 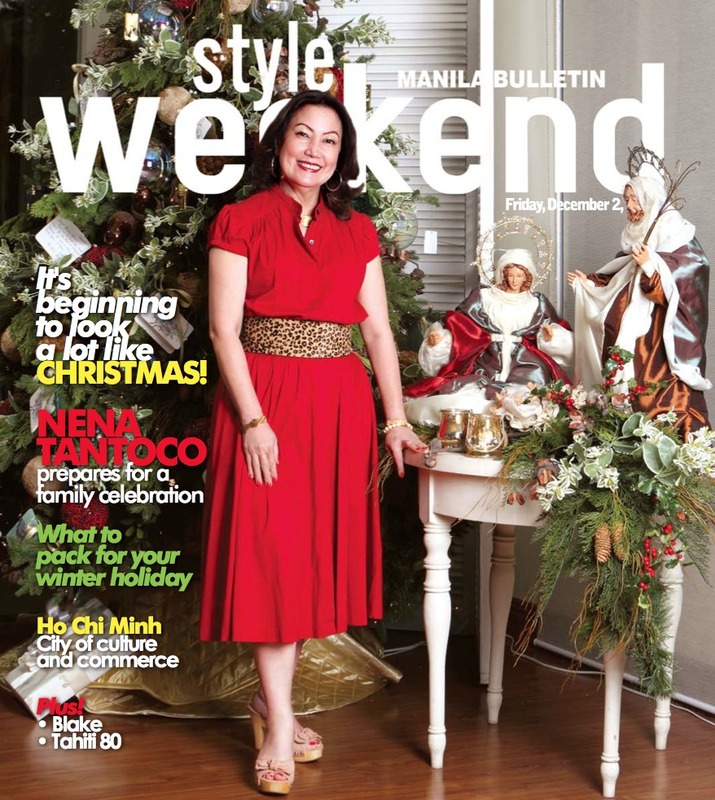 mrs. nena tantoco shares how she prepares her home for the holidays. also in this issue: what to pack for your winter getaway, how toms shoes gives back, clip-and-save bazaar sked, beauty products to add sparkle and shine, gadget gift guide, patti grandidge's mon-sun style, profiles on blake and tahiti 80, ho chi minh travel guide, and more!